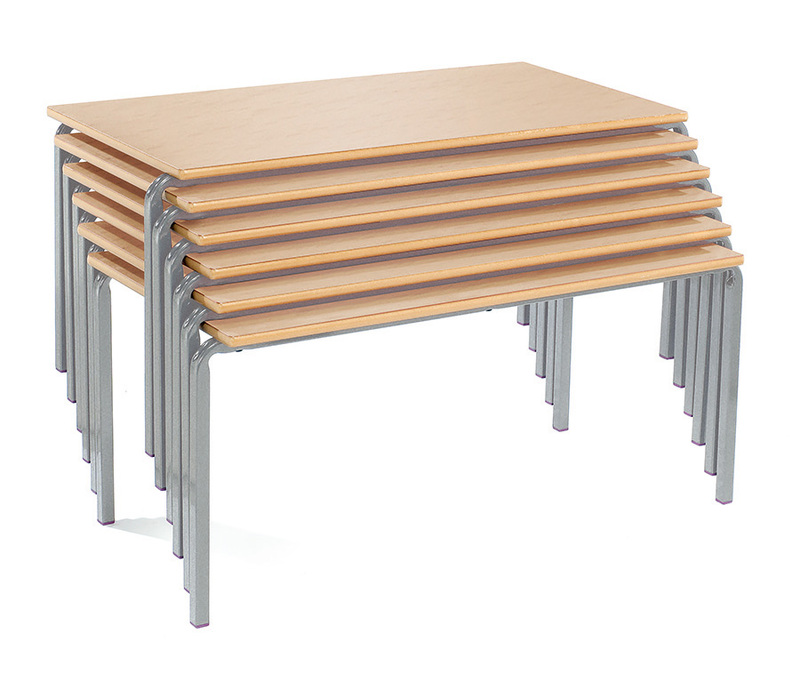 Our rectangular crushed bent tables are supplied in packs of 3, suitable for use within schools, pre-schools and nurseries. Choose from two table top sizes - 1100mm x 550mm or 1200mm x 600mm - and 6 heights suitable for different age groups from 3-14+. 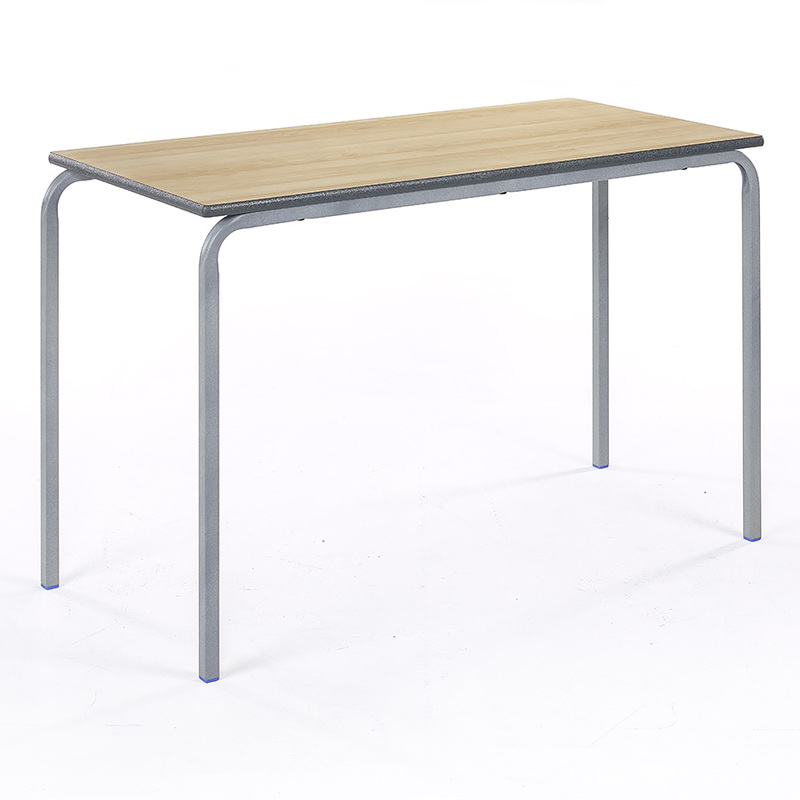 The 25mm steel square tube frame is finished with a durable speckled light grey paint and the 18mm MDF laminated table top is available in 10 vibrant colours. 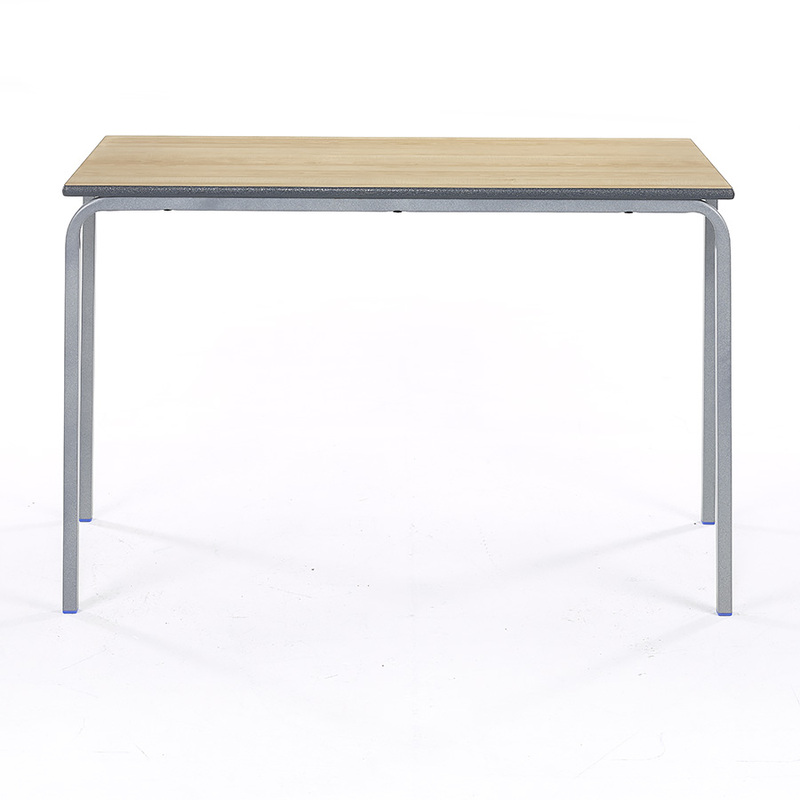 The table top features a textured spray PU edge which is hard wearing and available in charcoal, blue or light grey. 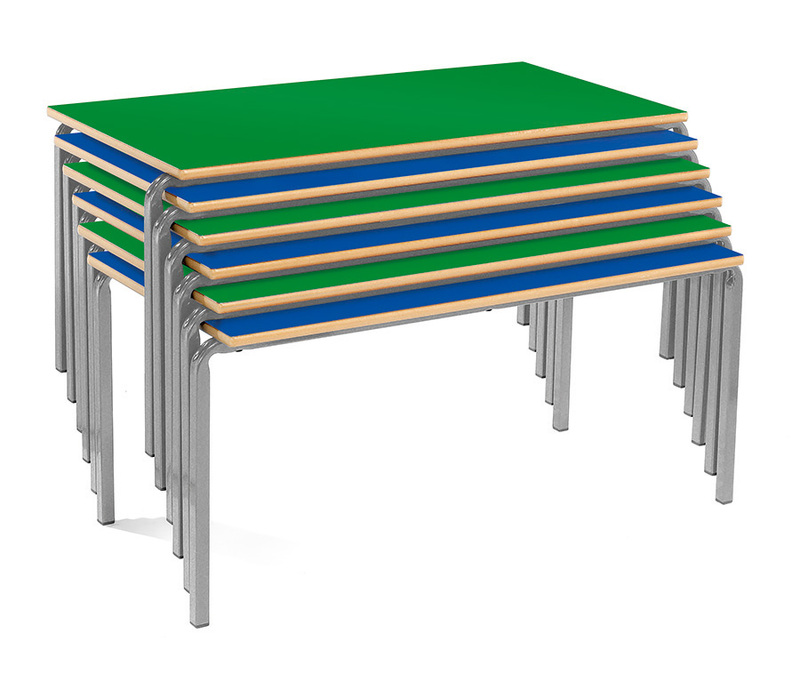 These tables are compatible with others from the Crush Bent range and can be used to create different shaped table groups to suit any classroom. The Crush Bent range includes Square, Trapezoidal, Circular and Semi-Circular tables. PLEASE NOTE: These classroom tables are sold in packs of 3 only. Therefore, adding a quantity of 1 into your basket will order a set of 3 tables, quantity of 2 is 6 tables etc. For more information please Contact Us or call us on 01733 511121.